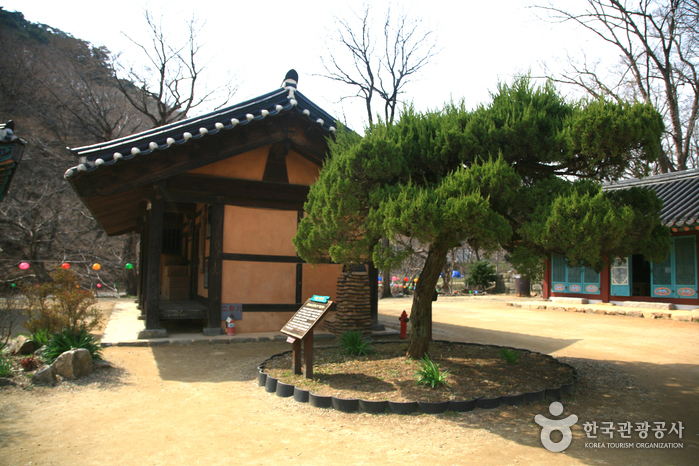 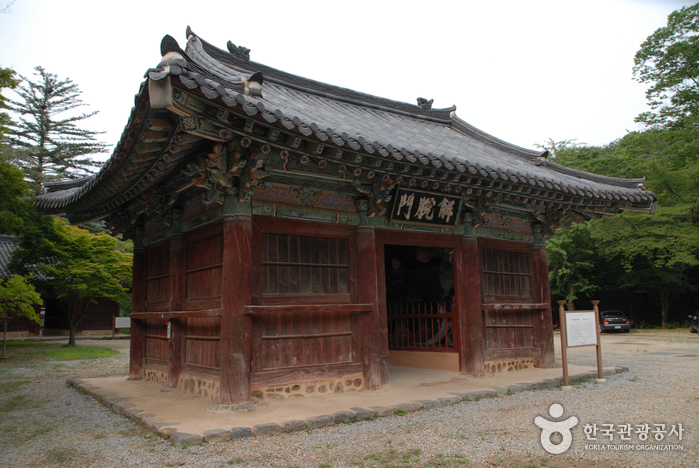 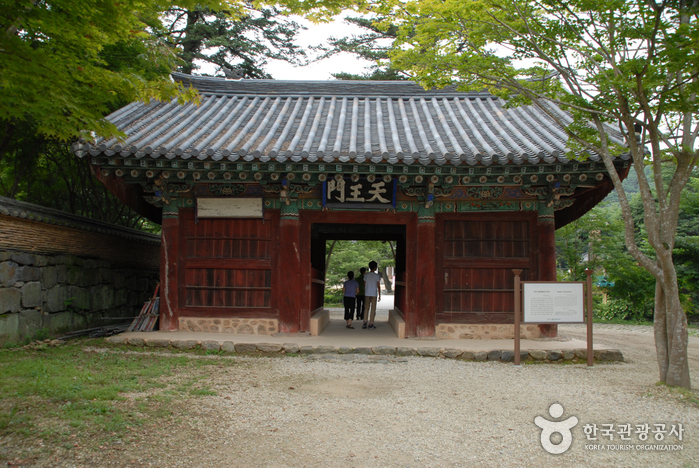 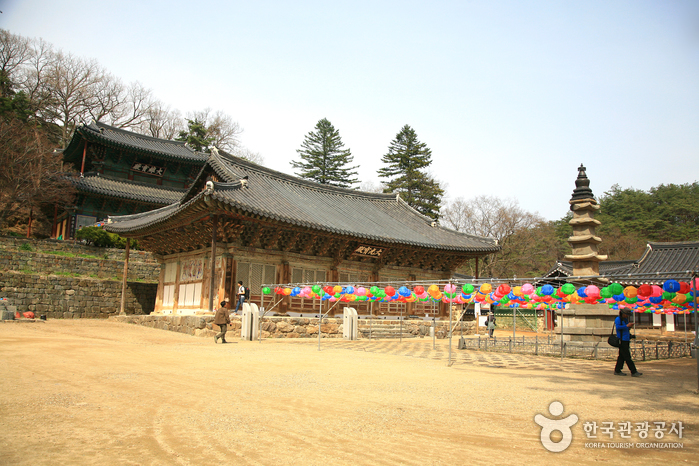 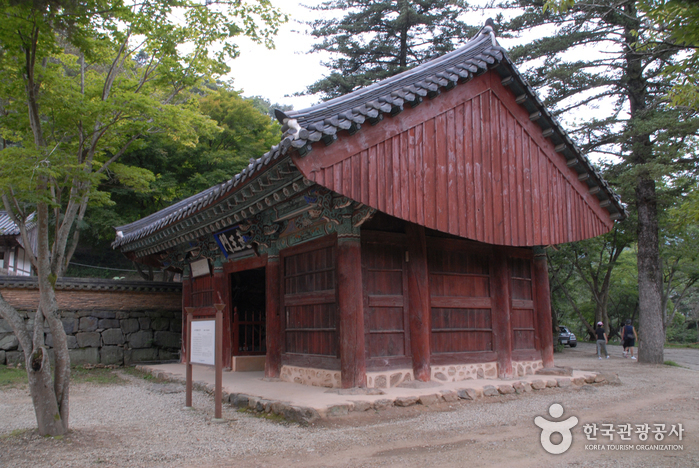 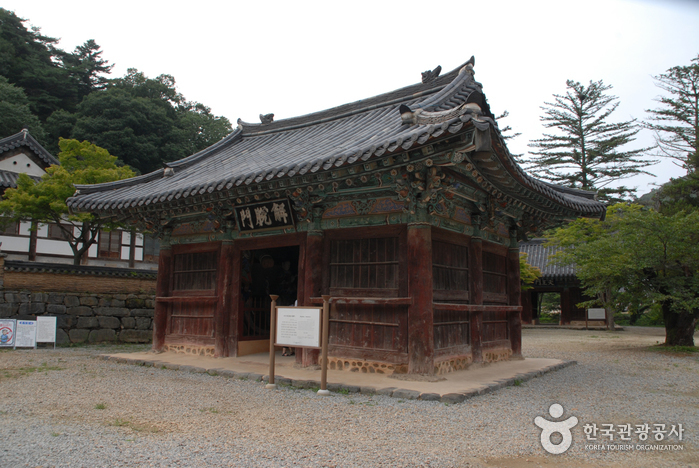 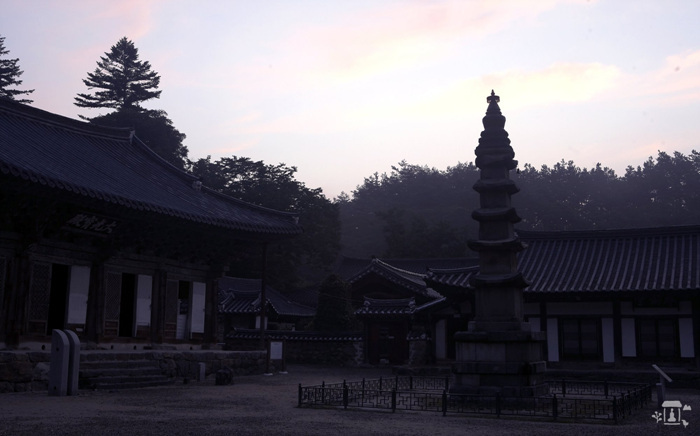 Magoksa Temple was founded by Monk Jajangyulsa in 640, a representative temple of the Chungcheongnam-do Province. 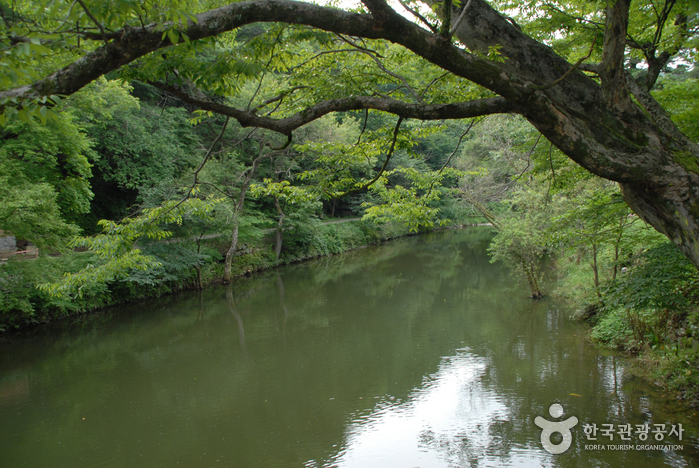 Magoksa is surrounded by a mountain and rivers curving a yin-yang shape. 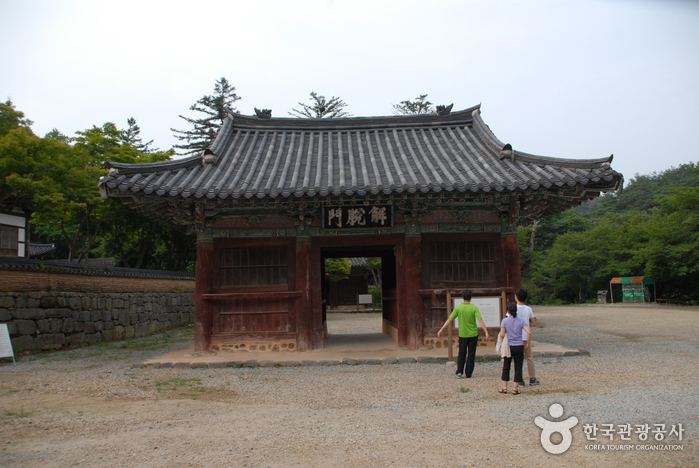 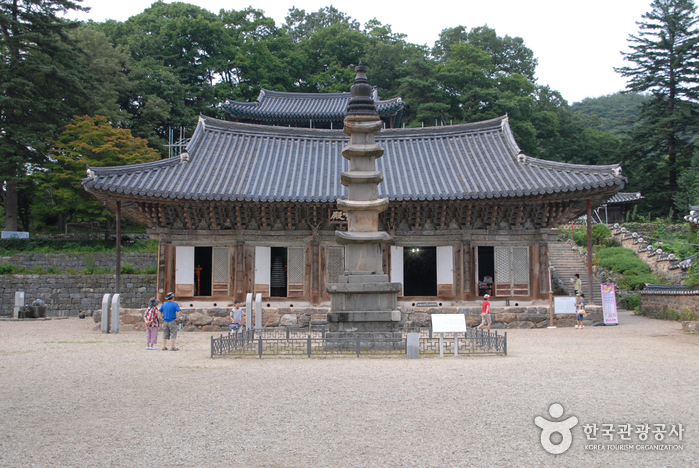 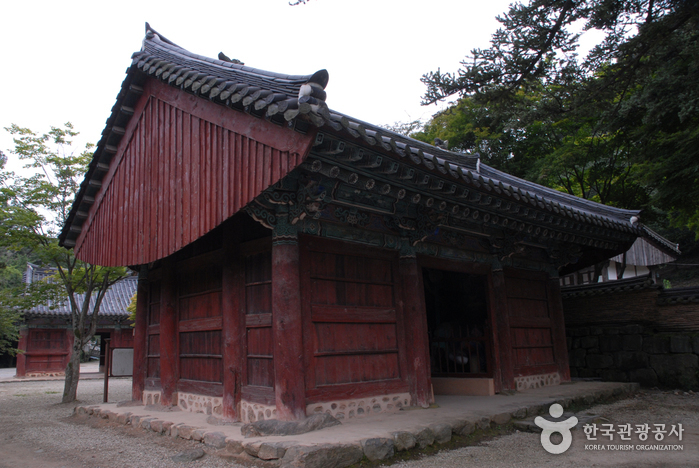 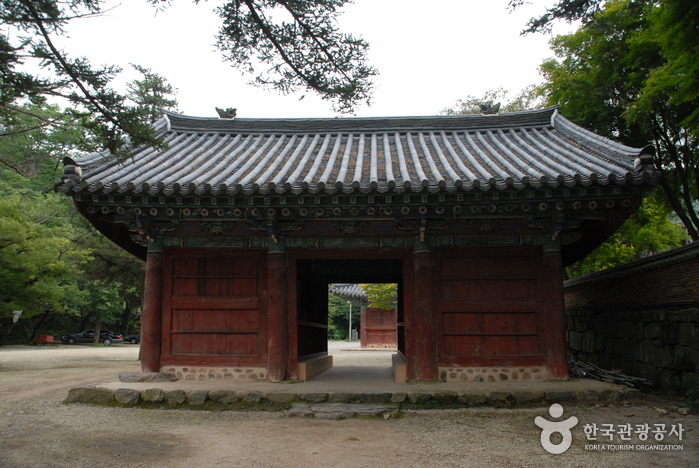 Perhaps because of such a shape, this temple was never damaged by any major wars during the Joseon Period (1392-1910). 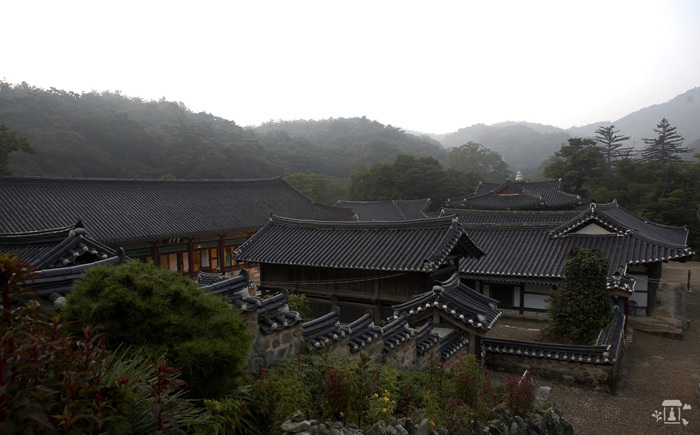 As much as the temple's fame, the beauty of the surrounding mountains is renowned especially the area surrounded by Mt. 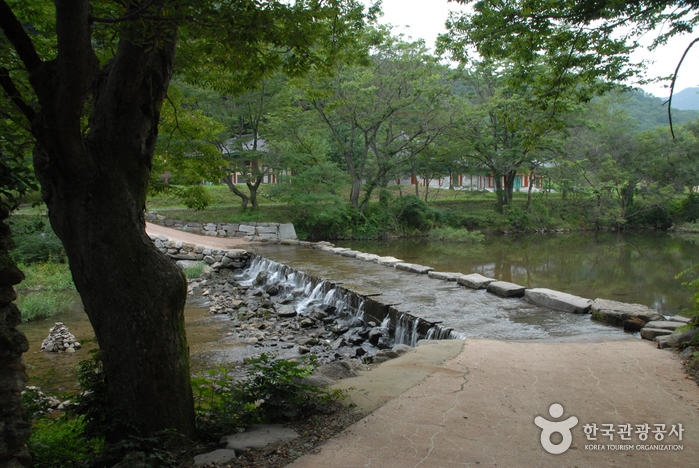 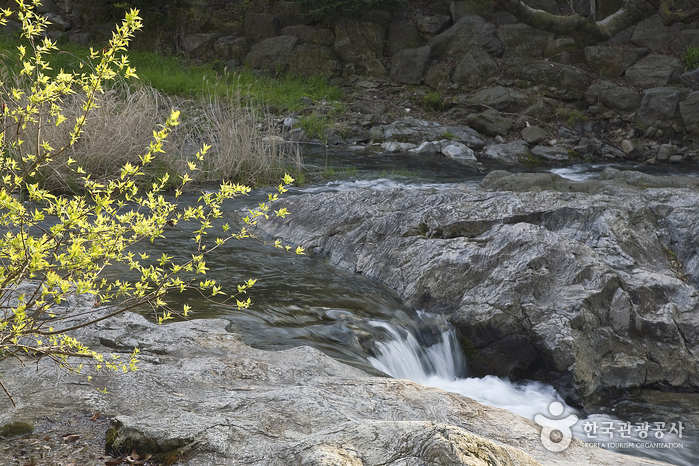 Taehwasan, where Taegeukcheon River flows in the shape of the yin-yang. 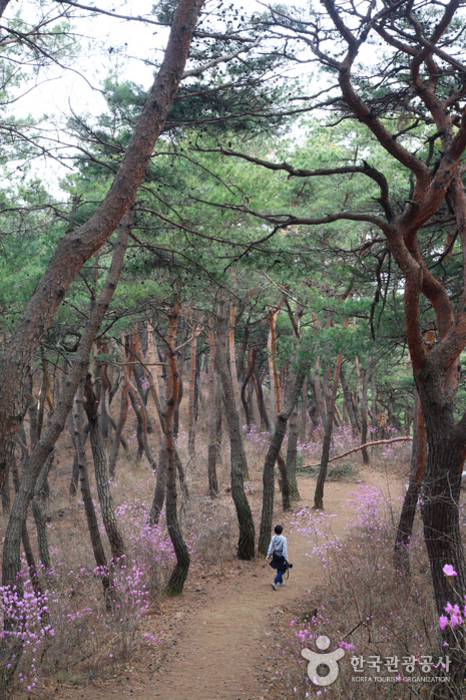 It is most beautiful during the spring time, when the cherry blossoms, sansuyu, and magnolias fill the whole area. 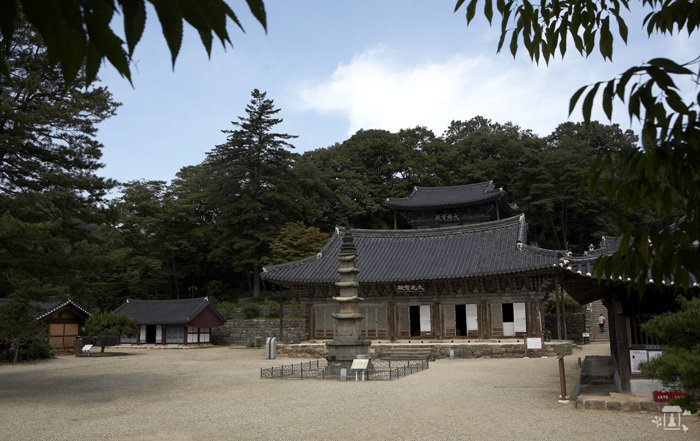 One eye-catching sight at Magoksa Temple are the Ocheung Stone pagoda and the Chinese juniper trees scholar Kim-Gu (Korean politician and freedom activist) is said to have planted. 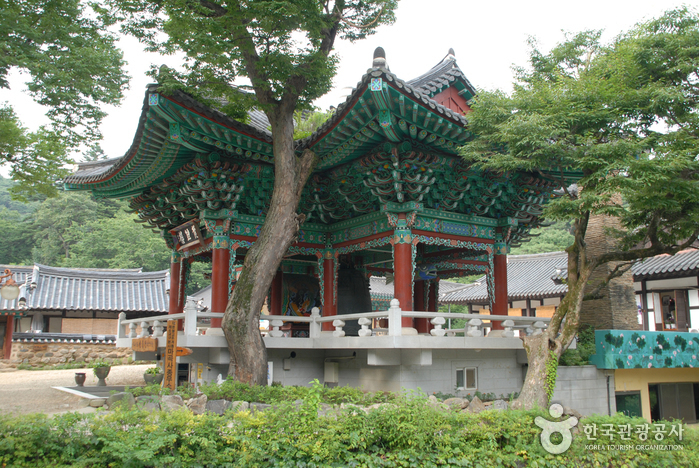 The top of Ocheung Stone pagoda is decorated with bronze. 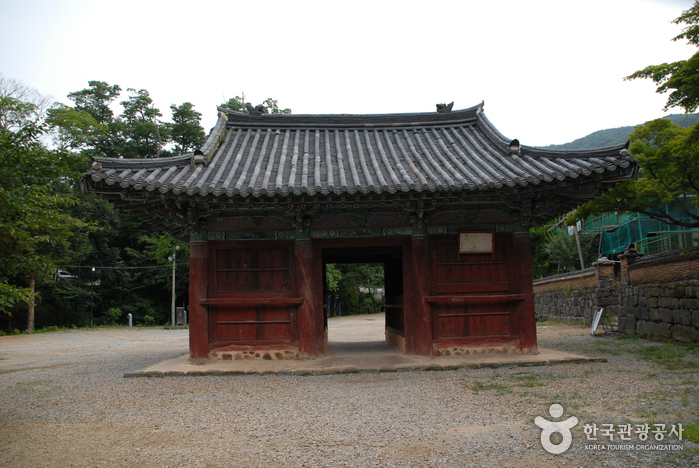 This style was influenced by the Lama Buddhist sect of Tibet, and there are said to be only three of such structures left in the world. 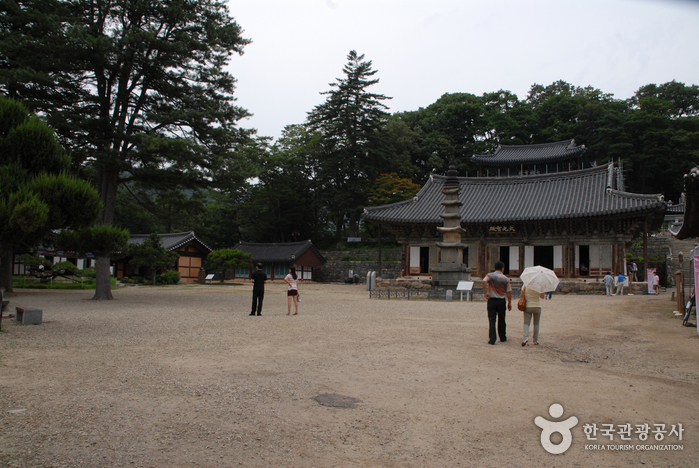 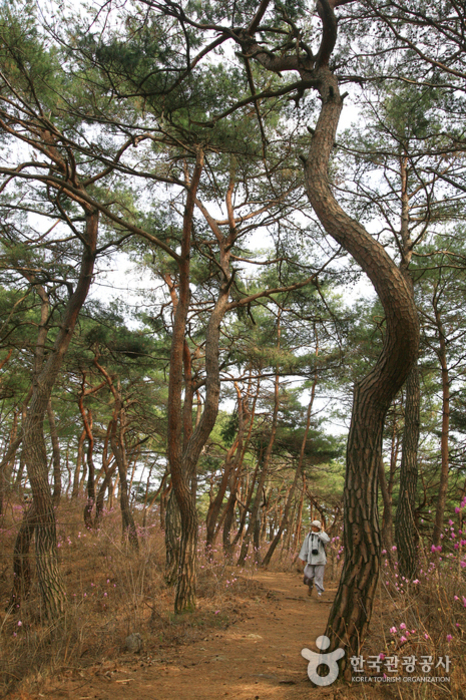 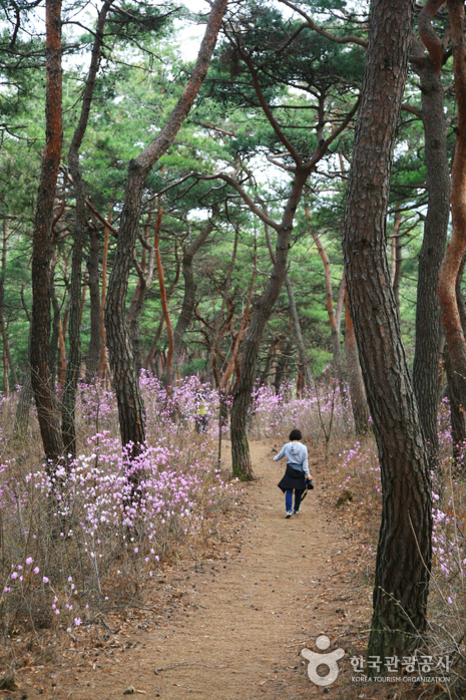 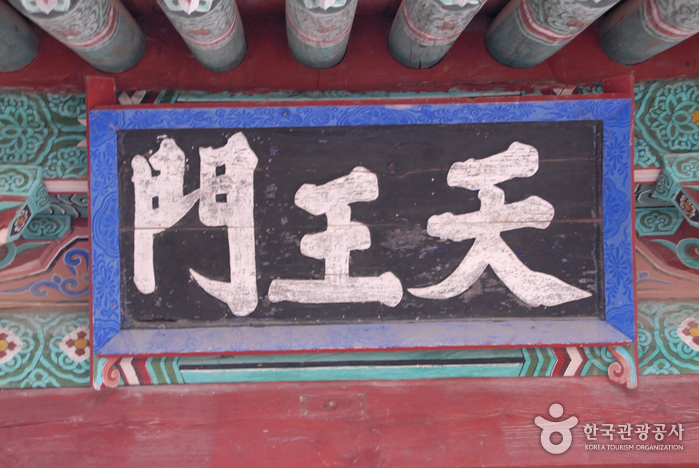 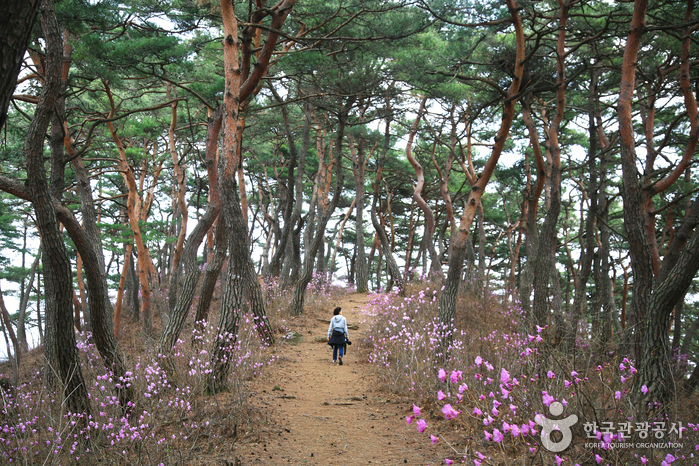 Inaddition Daegwongbojeon and Geuknakgyo are also worth a visit. 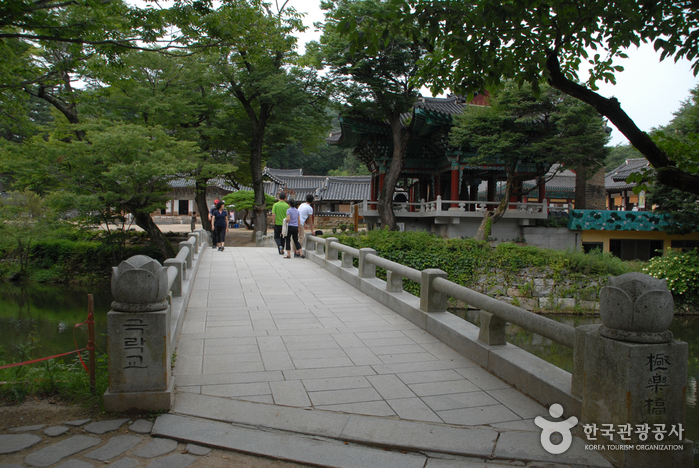 From Seoul Express Bus terminal, take an intercity bus to Gongju (공주). 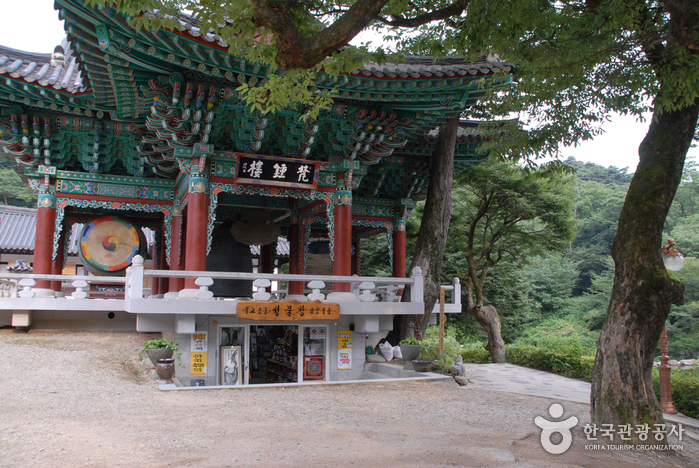 From Gongju Bus Terminal, take Bus 610, 611 to Magoksa Temple Parking Lot (마곡사주차장) bus stop. 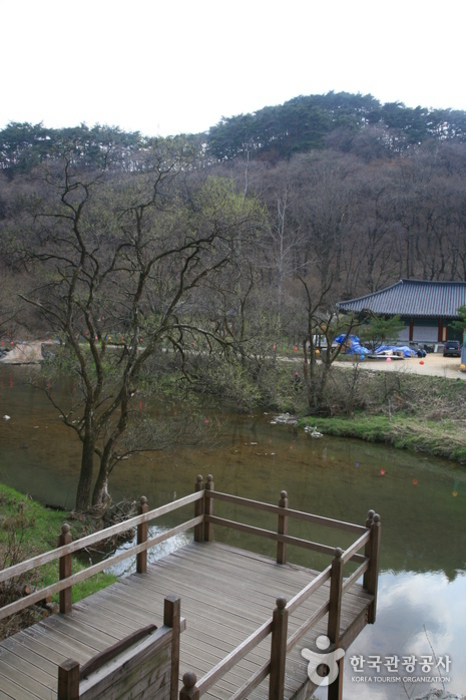 Follow Magokcheon (Stream) for 800m to arrive at Magoksa Temple.